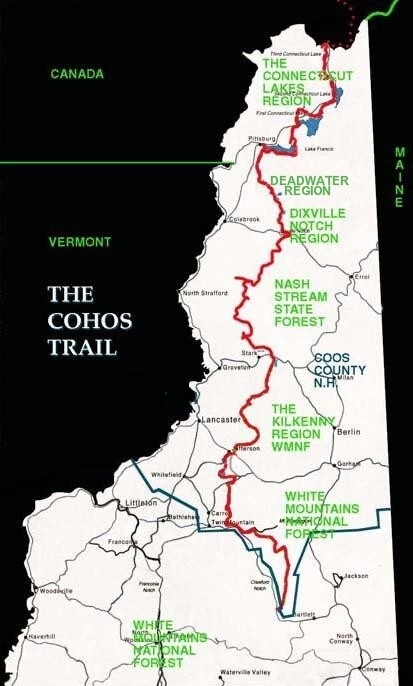 The relatively new and unknown Cohos (Coh-ahs) Trail extends 170 miles through Northern New Hampshire from the Canadian border near Pittsburg to Crawford Notch in the White Mountains. It’s a remote and and quiet shorter thru-hike that less than a dozen people complete a year. Due to its youth and isolation, the Cohos Trail guarantees a variety of conditions and terrain, with frequent wildlife sightings. From lush, colorful woods to big-mountain climbs, it as varied and challenging as any of the big-name trails. Map overview of the trail courtesy of the CTA. Terrain: Ranges from easy to difficult. Expect rolling hills combined with steep, rocky climbs along single track trail, snowmobile trail, and some road. Map, databook, and guidebook available from the Cohos Trail Association (I did fine with only the map). Since the Forest Service doesn’t officially recognize the Cohos Trail within the White Mountain National Forest boundaries, there are no specific blazes in the southern section. Elsewhere, you will find the trail marked with yellow blazes and directional signs. The trail itself is relatively easy to follow, with occasional frustrating and confusing sections that require paying attention. Note: The Cohos is not a National Scenic Trail and therefore does not receive federal funding for trail maintenance outside WMNF; it is maintained entirely through volunteer efforts. However, word is that the trail association received some grant money in 2019 so the overgrown sections of trail should get more attention. Kilkeney Ridge anyone? This trail was a mess of blowdowns after a 2018 winter storm, but the most of it should be cleaned up by now thanks to trail crews. Photo courtesy of Dave Moore. Northern Terminus: The northernmost point is located at the Canadian border at Fourth Connecticut Lake high on Prospect Hill. To reach the trailhead, drive north from Pittsburg about 23 miles to the US Customs Station. From there, walk in approximately 1.5 miles to reach the source of the Connecticut River to begin or end your hike. 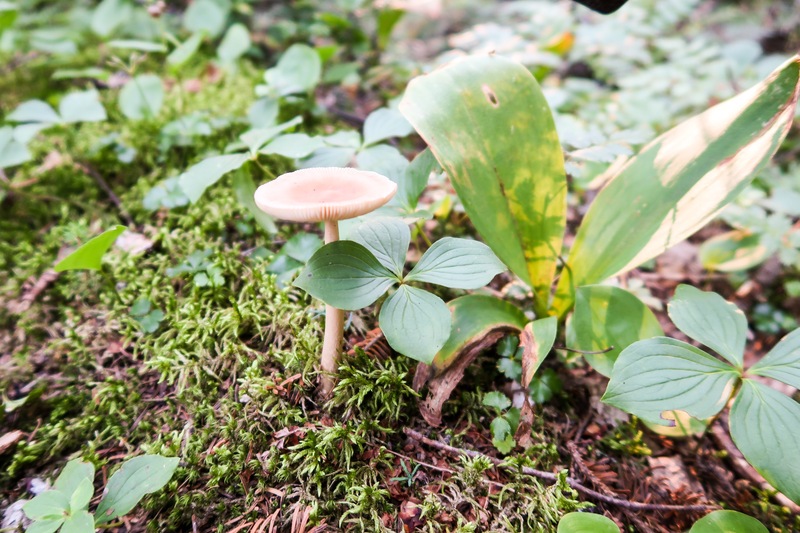 Those who wish to extend the hike and have acquired an entry permit can hike an additional 60 miles along the Sentier Frontaliers trails system in Quebec. There is no long-term parking here but one could very easily park farther south on Route 3 at an established trailhead and get a ride to the border. Southern Terminus: The southernmost point is in the center of the White Mountains, at Davis Path near Hart’s Location. From North Conway, continue north on Route 302 past Bartlett and look for the Davis Path Trailhead on the right just after passing the Notchland Inn. There you’ll find plenty of parking, picnic tables, and the iconic Saco River. Note: These are only end points; there are no official terminus signs or monuments. There are shuttle options available that may be able to help arrange section or thru-hikes. Dixville Notch is home to some of the most dramatic cliffs in New Hampshire. Photo courtesy of Dave Moore. This trail can be hiked in either direction, northbound or southbound. Both end points are fairly remote and will require some coordination or longer hitches. If you’re looking for a central location to work from, Gorham is a midsize town with accommodations and resources. If you wanted to begin with the tougher terrain to get your legs acclimated before the longer food carries, NOBO might be the better option. However, the more dramatic, scenic walking is definitely in the heart of the White Mountains. I went SOBO in August 2018 and it was incredible to walk into the White Mountains from the north, a different perspective than any route I’d done before. So I’d have to recommend that. Why Hike the Cohos Trail? Enjoying a break at the old Mt. Cabot Cabin. Let me start by saying, I grew up in Maine and spent much of my young life hiking and camping in New Hampshire. The Cohos Trail is the real deal. 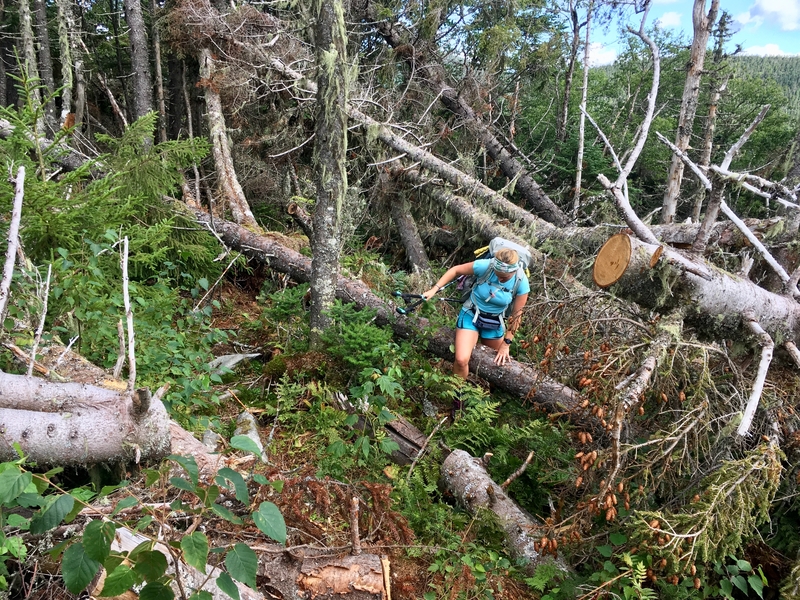 It embodies all of my most beloved elements of Northern New England—lush oxygen-bar woods, rocky ridgelines, and a charming edge of testing your resilience. There’s not much cell service, and the good ol’ fashioned paper map navigating gives this region a nostalgic sense of isolation. The Cohos Trail gives off this vibe of authenticity; the product of years of hard work by dedicated locals. If you have less than two weeks to hike and are looking to escape the crowds and find some solitude, then this is the trail for you. It ranges from effortless to arduous and everything in between. I wish I knew my ‘shrooms better… they’re everywhere! 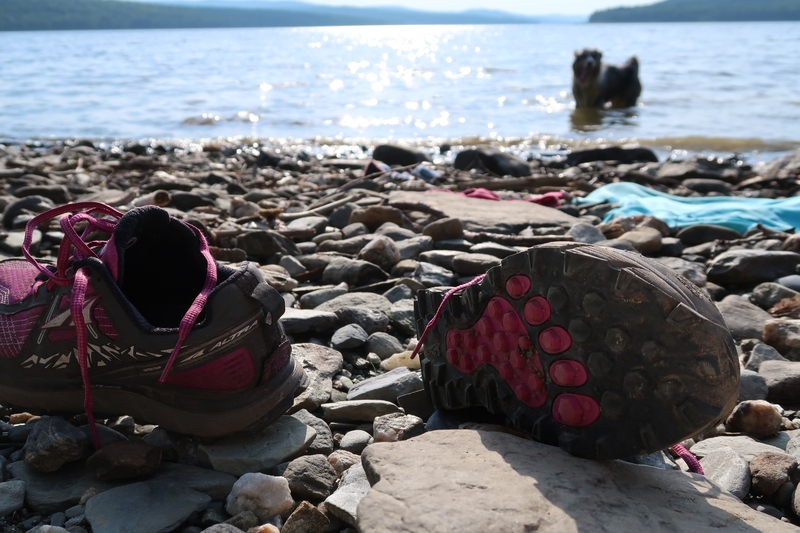 The trail can be hiked during traditional thru-hiking season (late spring to early fall) but is best hiked in August or September for ideal New England weather—think less bugs, more berries. A spring thru-hike would offer the best opportunity to see wildlife, most notably black bears, but expect wet feet throughout and possible snow/cold rain at the higher elevations, especially the exposed sections. Midsummer challenges would include crowds in the southern portion and BUGS. For those who enjoy cooler weather backpacking, I would recommend hiking the trail during peak foliage change in early or mid October. If I were to hike it again, I’d go at this time. Escaping the hot & humid weather with a dip while the shoes dry out. New Hampshire can be hot and humid in the summer, with frequent afternoon showers. 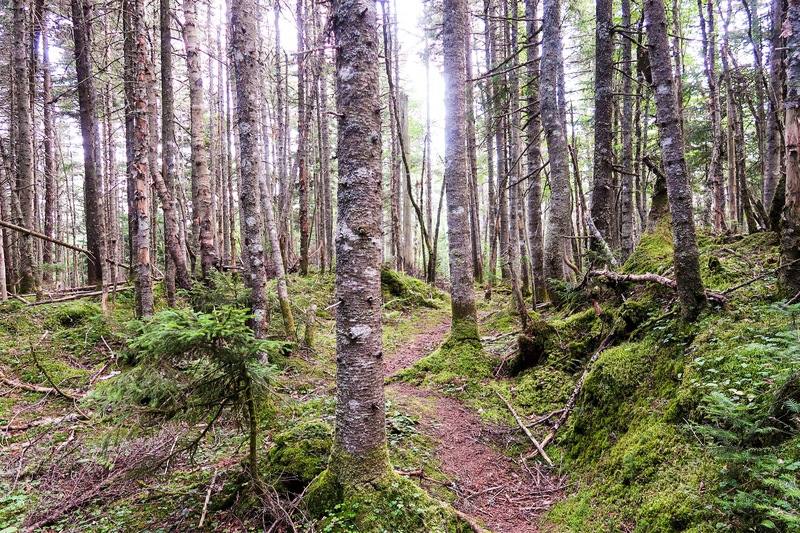 The trail travels through some low, boggy areas so expect wet feet until fall. Because of this, I recommend breathable trail runners as opposed to boots. In the summer, I wouldn’t bother carrying fancy rain gear. The humidity will soak you from the inside anyway. Instead, opt for a poncho or quick-drying mid layer (rainstorms tend to be intense but brief) and give yourself time to dry out the feet during breaks or in camp. In the summer and early fall months, a 30- to 40-degree sleeping bag will be plenty comfortable for the average sleeper. I rarely slept inside my 30-degree bag during my August hike. For a late fall hike that might present chillier temperatures and rain, reliable wet-weather gear is crucial. This trail could be hiked with only a weather-tested tarp in the fall, but otherwise be sure to have a shelter setup with bug netting to stay sane during mosquito mayhem. Be aware of tick season and consider permethrin-treated clothing or spraying your socks with bug spray. In general, this trail can be hiked with minimal gear, making it a great trail for beginner long-distance hikers to test out their kits, or experienced hikers to dial in a lightweight setup and hike comfortably. You can find my full gear list here. Devil’s Rest Shelter. Brand spankin new. 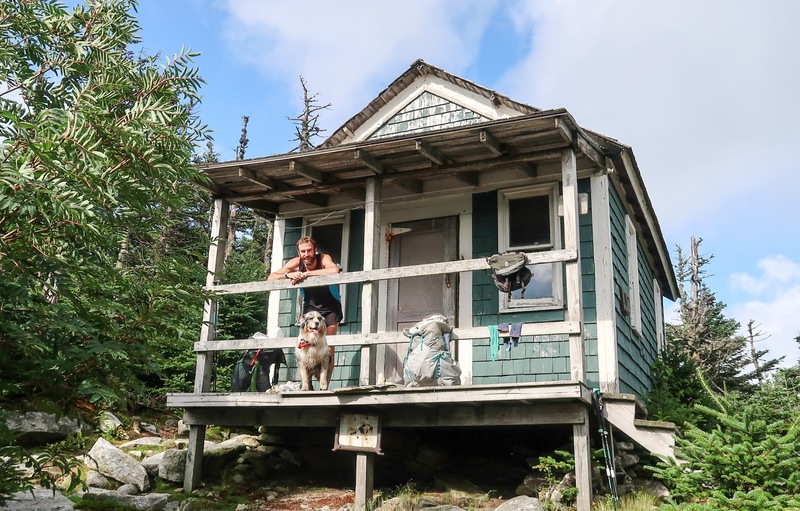 If you’ve ever stayed in a shelter on the AT or Long Trail, you’ve probably wondered what it was like to sleep inside before its heavy-use-mice-infested days. While “official” camping on the Cohos is sparse, the shelters that do exist are something out of a thru-hiker’s dream. Not only are they new, but the thought and craftsmanship of the structures blew my mind. 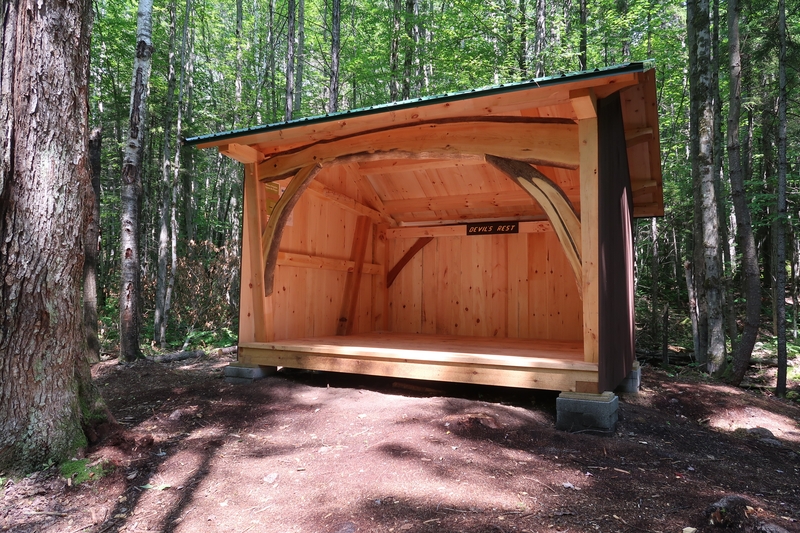 There are a handful of these palaces scattered one to three days apart and located on the map: Neil Tillotson Hut, Panorama Shelter, Old Hermit Shelter, Devil’s Rest Shelter, and the Mount Langdon and Dry River shelters just off the trail in WMNF. If you fancy more facilities, there are some state and private campgrounds (for a fee) on or just off the trail: Coleman State Park, Lake Francis State Park, Deer Mountain Campground, Mount Deception Campground, Rudy’s Campground and Ramblewood Campground. I’m sure if you called ahead, many would be willing to hold a resupply box for you. Along Cherry Mountain Road, there are overflow WMNF drive-in sites that fill up quickly in the summer. There are also B&Bs located in the small towns of Stark and Jefferson. Officially, the CTA suggests hikers camp only in designated places. In the Connecticut Lakes Region, unauthorized camping is illegal. Beyond that, to my knowledge, hikers may camp in dispersed backcountry areas in the state and national forests assuming they follow LNT principles and camp at least 200 feet from water sources or the trail. Please be aware that part of the trail is on private property via easements so avoid pitching a tent within those areas. For the modern thru-hiker who walks until dark and rises with the sun, leaving no sign of encampment, there are plenty of pleasant spots to stumble upon. Given the remote nature of this trail, I really enjoyed my quiet, bright-starred backcountry camping along the Cohos. Even dogs appreciate the sweeping views on the Presidential Ridge in the WMNF. The variety of ecosystems and terrain make the Cohos an enticing trail for both new and experienced hikers. 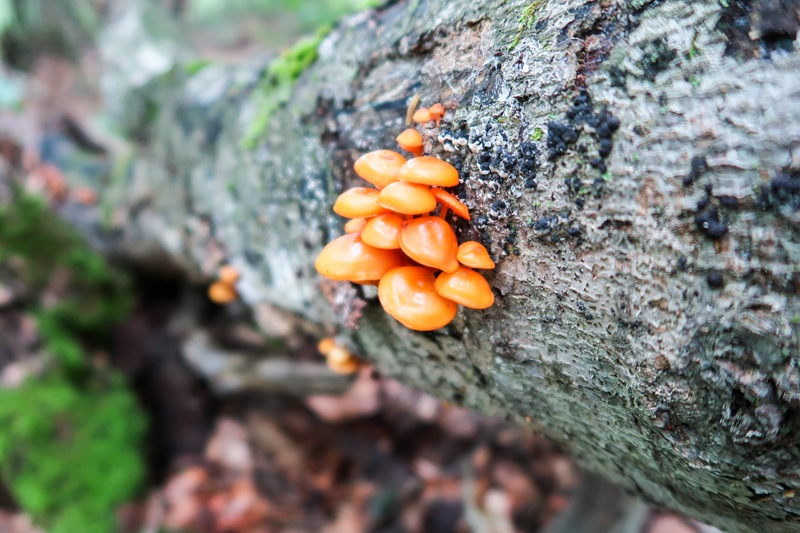 The North Woods is classic moose country, with mushroom- and moss-carpeted forests connecting between the Connecticut Lakes. 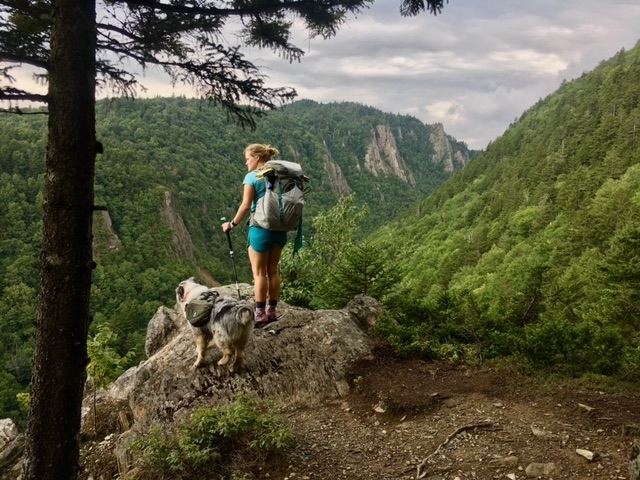 The trail travels through the lesser traveled Dixville Notch and the Nash Stream Forest, past waterfalls, panoramic views, and dramatic cliffs. In addition to moose, common wildlife sightings include black bear, bobcat, beaver, otter, and fox. I especially appreciated the Jefferson Dome segment of trail, where I enjoyed a particularly stunning sunset above 3,000 feet. There, the Pondicherry Wildlife Refuge is home to over 200 species of birds just at the base of Mount Martha and Owls Head, two steep climbs offering dramatic views of the Presidentials and Cherry Pond. The stretch between the Presidential Range and Crawford Notch, per usual White Mountain hiking, can be punishing. But it’s almost always gorgeous… even in the rain. 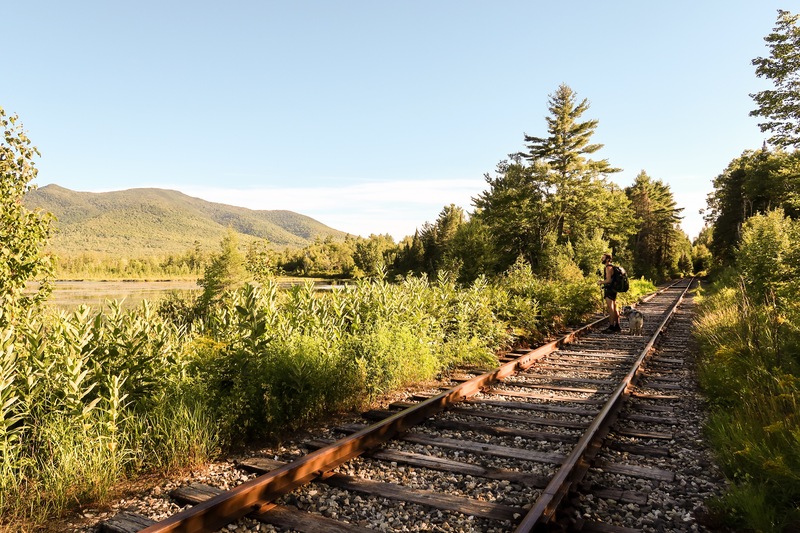 Note: The trail crosses over many high peaks, and there are many other opportunities to make short side trips for anyone tackling the New Hampshire 4,000-Footers or New England 100 Highest peakbagging lists. Or for anyone looking to extend their hike given optimal weather. Where’s a mycologist when you need ’em? Water is plentiful along the entire trail. It was hot when I hiked but I never needed to carry more than one to two liters at a time. The only spots to be mindful are when traveling briefly up on to the ridgelines: Jefferson Dome, Kilkenny Ridge, and the Presidential Range in the White Mountains, since there is no water up high once the snow has melted. All of the established camping areas or shelters have a water source nearby. As with any long trail, always filter from water sources and do your best to minimize impacts to vegetation while retrieving it. There are a handful of resupply options directly on the trail, a few a short distance off, and two (reasonable) opportunities to hitch a ride into a town with more accommodations. In the southern section, there are general stores at Bretton Woods on Route 302 and in Jefferson. Most hikers will send a resupply package to Stark Village Inn, just west of where the trail crosses Route 110. For more resupply options, here is the list the CTA provides. The longest stretch is between Jefferson and Pittsburg. 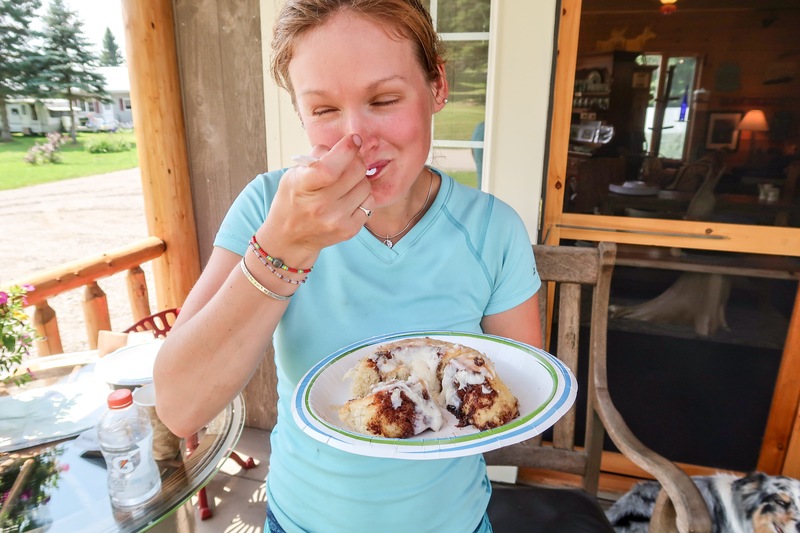 Only a mile off the trail in Pittsburg, Green Acres Store is a must-stop of fresh cinnamon rolls! Shop at Bretton Woods Depot Store on Route 302. Shop or send a box to Jefferson Village Store in Jefferson (or hitch into Gorham if you’re needing a town stay). Send a box to Stark Village Inn (one mile off-trail) or hitch seven miles into the small mill town of Groveton. This isn’t a trail town, but they have a decent grocery store, some restaurants, and lodging options. I stayed the night here and found folks to be super friendly and curious about the Cohos. Hitch three miles to Diamond Peaks Country Store at Dixville Notch. I skipped this but it would break up the long food carry, even if you only supplemented snacks. Bonus, it’s also a motel if you’re in need of some R&R. Shop at Young’s Store at Happy Corner on Route 3 near Pittsburg. Only a mile off, Green Acres Country Store is the spot to hit if you’re craving some baked yummies. When I said varied terrain, I even meant it. The trail even follows train tracks for a short bit. The trail is young and updates to published data/maps can’t possibly keep up with new happenings. The Friends of the Cohos Trail Facebook Page is a great resource to find trail information. If you have any questions, feel free to leave your comments below. You can also find out more about the Cohos Trail at the CTA website. Attempted a SOBO thru of the Cohos last year but got injured only a couple of days from the southern terminus and elected to get off the trail before I created a SAR situation! I’ll head back to finish it up this summer and plan to do it again as a thru in the coming years. What a special trail it is. I saw a moose within hours of heading out from the northern terminus. I only saw two other thru hikers the whole way and went 47 hours straight without seeing anyone at all at one point! If you like solitude, this is the trail for you. Although I do think it will become more popular since the trails in the Whites can be so crowded. I also went in August and it was still incredibly wet so I would also go in the fall if I did it again. Kristen, sorry to hear you got injured on the trail! That’s never fun, but it sounds like you’re determined to get back and finish this year. I couldn’t agree more, I thought August was still a little crowded in the Whites and wet up north, plus you may catch some moose in rutt? Only saw two other hikers too and it was awesome. Happy trails and goodluck finishing up! Can you horseback ride this trail ? 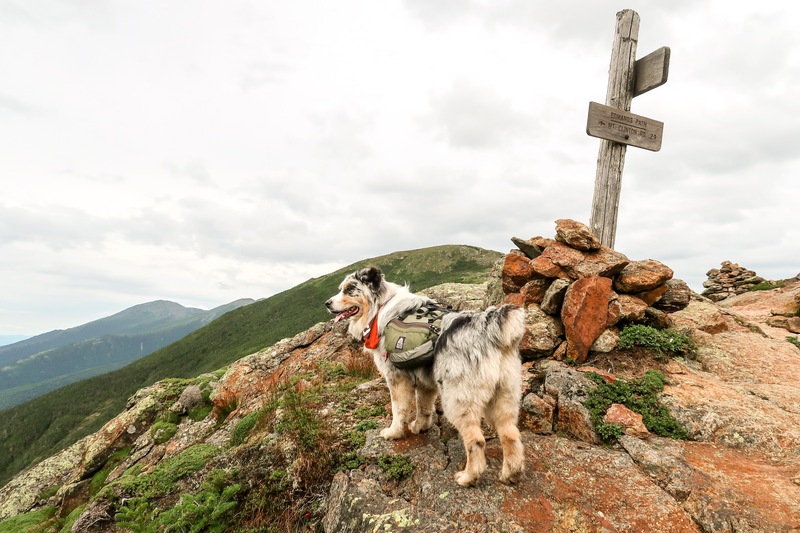 This trail goes through the toughest part of the White Mountain National Forest (rocky and steep), New Hampshire conservation lands and state parks, private and non-profit conservation lands, and private properties. There are some gravel and grassy forest roads which might be great. I have found that ATV trails have taken over the best parts–very dusty and interrupts the peace. You would have to do some research and get owner’s permission. You can ask on the Facebook page or contact someone on the website mentioned in the article. I wish I knew some horse people in the area to help you. Good luck! Great question Brony. To piggyback on this last comment,.. to my knowledge there are no rules prohibiting equestrians on the Cohos. BUT, the section south of Pondicherry Wildlife Refuge is NOT graded for horses, it’s super steep in places between Owl’s Head and the finish/start at Crawford Notch. Throw this question out to the Facebook group and see if anyone has ridden the trail before. I’d be curious to know too. Happy trails! Nice article, I’ve taken my granddaughters on this twice, First as a section hike all summer in 2016 NOBO and a 15 day SOBO hike 2017.